There are a few food shows on TV that I cannot miss. Even though it’s not a cooking show, I just love Carnival Eats. The host, Noah Cappe, is quite funny and entertaining. I think he may have the perfect job: travelling around and enjoying the crazy foods he finds at fairs and carnivals. Like this Walking BBQ. This is a take on the classic Walking Tacos, which are bags of Fritos topped with taco meat. 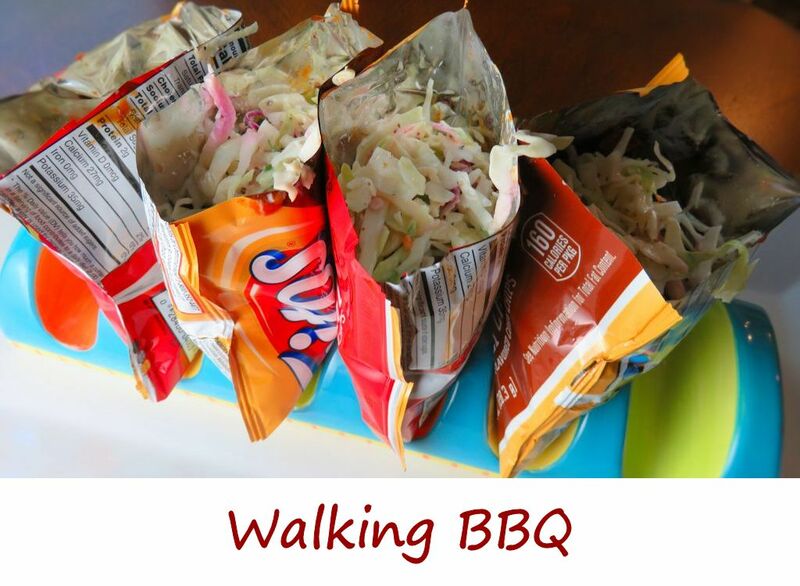 Walking BBQ consists of Fritos topped with… yep… you guessed it… BBQ. There aren’t any laws for what you can and cannot put in your Walking BBQ. I kept mine traditional, with just some leftover smoked pulled pork, homemade BBQ sauce, canned baked beans, and homemade slaw. It’s fun to eat and tasty at the same time. Win! Also try my fantastic chili-in-a-bag! Note: I like to turn the Fritos bag on it's side and cut off the top side. It gives you more of an opening to get to the deliciousness inside. Spoon in the pork, sauce, beans and slaw. Grab a fork and walk around enjoying your grub! This entry was posted in Main Dishes and tagged Carnival Eats walking BBQ, chips, fair food, Frito pulled pork, pulled pork, recipe, Walking BBQ by Mike. Bookmark the permalink.